Singer/songwriter and Pitch Perfect star Ester Dean takes it old skool with this jam 'Baby Making Love'. This is the first video the singer has released since 2009 after releasing her single 'Drop It Low' which featured Chris Brown. But that hasn't stopped her from doing her thing behind scenes - Ester Dean has penned hit songs for the likes of Rihanna, Nicki Minaj and featured on Tinie Tempah, Machine Gun Kelly, Michael Woods singles and more. 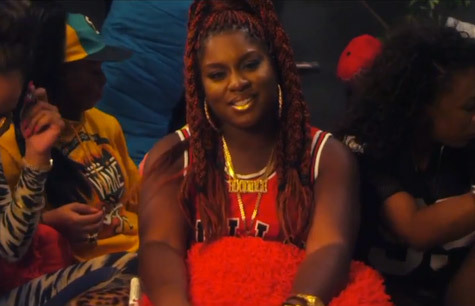 Ester Dean heats things up in this new sultry, but keeps the video cool and PG! Dean is planning on taking things to the next level in 2013 as she plans on releasing her debut EP and album Story Never Told.